As you all should have noticed, the default damage display in battles is pretty pathetic. If any of you have seen Blizz's game Chaos Project, then you'll get what I mean when I say that you can never appreciate the default again after playing CP. So, I made my own version of it, complete with four different text appearance styles and four different text disappearance styles. I also included a few other features, including changing the font properties of the text. Gives damage text cool animation! Choose from six different appearance styles and four different disappearance styles. Customize font properties of the text. DAMAGE_FONT_NAME = "Times New Roman"
Configure the script and that's pretty much it. I'll put in a little on how to configure the damage color section soon. val > 0which would check if the damage was greater than 0. val.is_a? (Numeric) and Other than that, the parameters are all pretty much self-explanatory. Should be compatible with anything that utilizes the default damage method. Update to v0.2. A bunch of bug fixes as well as a new appearance style. *fixes post* Please use spoilers for images. 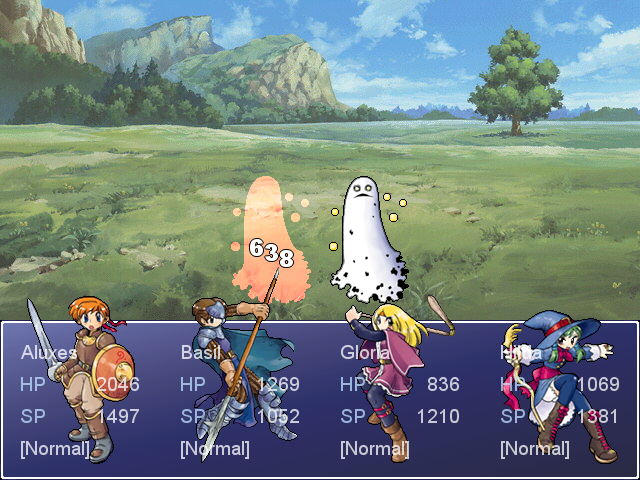 Changing APPEAR_MODE to bounce or float, when animation stops, last character snaps up and out of position. Suggestion: Needs a few more Appear Mode options. 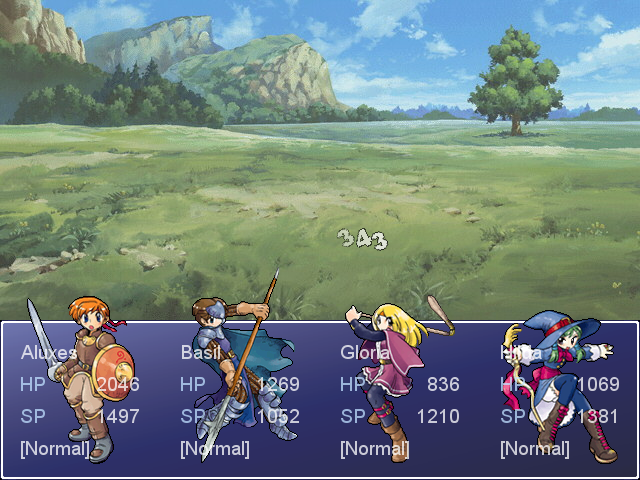 There are some scripts that allow multiple hits to occur very quickly, so having the damage text move out of its initial position could be quite useful for displaying all of the damage text at the same time. Handling each Damage Character individually is quite cool! Oh, thats what the name of the script implies! Ill probably add in new animations soon, including some that dont use multiple sprites and look good with shorter durations. Im actually sitting on an update right now that ill post in the morning. And a quick sidenote: i figured out why all my dll functions lag so much. Ive been reloading the functions every frame, which takes a lot of time i guess. Anyway, i am coming out with an update for my battler transitions script to allow virtually lagless use of rmxp transition graphics to transition sprites in and out. I've been too busy with midterms and working on v0.4 to post it, but here it is. 4 of each type of animation now. Edit - Update to v0.4. I've just been sitting on this update for forever, and I finally realized that this wasn't up to date when I got the script from this topic, so here's the update. There are several non-letter animations in this update.